The proprietary designs of our SAFE FEAST Farm enclosed containers are operated entirely by renewable energy through sustainable technologies. These facilities can be replicated and configured to max out the production on your farmable land. The aquaculture / aquaponics systems are adjoined products within the FEAST Farm. However, the renewable energy components are available separately or as a co-generation system, customizable to individual energy usage demands, and do not require the food production variable to operate. This site will take you on a tour through the various technologies that SAFE offers. Regardless of the region, our systems are adaptable and sustainable in any combination, by using the renewable energies that are constant and abundant within that region. Solar, Wind, Geothermal, Hydropower - these components are interchangeable and will fully perform to specifications. SAFE will commit to using only sustainable components in all of our technology assemblies to minimize the carbon footprint when installing into any country. We are eco-friendly and good stewards of earth's resources. SAFE will operate the company targeting profitable growth, increasing value and expanding opportunities for development and career growth in fairness to all employees. SAFE will operate the company on a local, national and international level while strictly adhering to a code of ethics, a demand for excellence, a heart for humanity and a promise of environmental stewardship. SAFE is founded on and dedicated to a sustainable corporate concept of linked prosperity. Our mission consists of three interrelated parts as defined above. Underlying the SAFE mission is the dedication to developing new methods for enhancing all three parts, while holding a deep respect for the environment and community, the individuals inside and outside of the company and for the products proudly labeled behind the SAFE emblem. 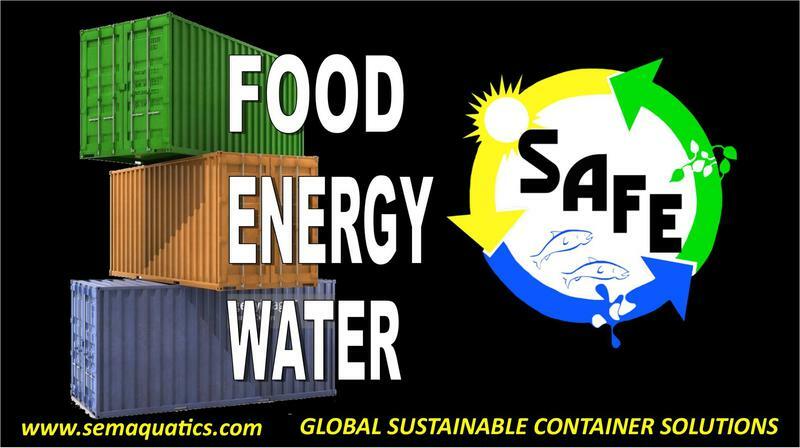 To replicate scalable and sustainable food producing facilities throughout the world. We can't make a difference by giving the hungry man a fish. We can't make a difference by teaching him how to fish in polluted or depleted waterways. We can truly make a difference by building an indoor farming facility with housing accommodations which are protected from pollution, disease, predators, elements and weather. Teaching them how to run this facility is empowering them with survival. Organizing a team of philanthropic visionaries who share this passion?